Created out of deep personal affection and great emotional pain, Chiara—A Journey into Light is a powerful and moving photographic essay on illness and death. Its intense but sensitive images touch on the questions of how we deal with suffering, dying, and grief, while also evoking images of life, warmth, and love. 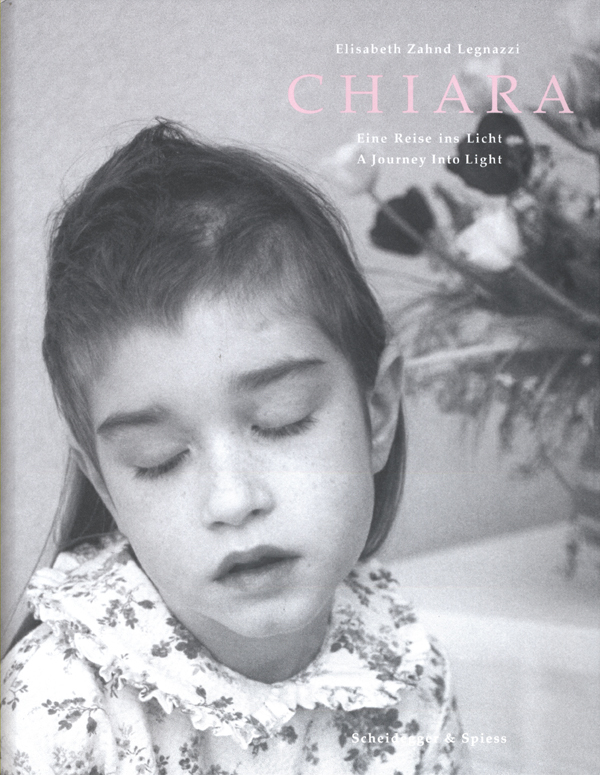 Chiara, daughter of artist and photographer Elisabeth Zahnd, was diagnosed with an incurable brain tumor at the age of five. Zahnd’s portraits of Chiara capture her remarkable dignity during the final months of her young life. Zahnd never exploits the suffering of her daughter for her artistic project; even in close-up pictures she keeps a respectful, private distance. The photographs of Chiara instead portray her maturity and charisma even as her physical strength weakens. The images of Chiara are complemented by photos of abstract landscapes that visualize the changing perception of reality that accompanies a loss of the senses and an essay by Austrian scholar and writer Thomas Macho that is a philosophical meditation on illness and fear that provides context for Zahnd’s work. An evocative portrait of life and death, Chiara is a unique work that brings us face to face with the human condition.